Thousands of investors worldwide aver, crypto-currencies are future of the global economy. Several acclaimed millionaires are speaking in favor of crypto-currencies. Others however believe that crypto-currencies are a bubble that will grow disproportionately and burst anytime. Regardless of whichever school of thought you subscribe, every crypto-currency in the world is rife with issues. These issues are emerging since crypto-currency trade offers a very high level of privacy and is shrouded in secrecy. Unfortunately, this advantage that could be utilized by genuine investors now stands exploited by scammers. Consequently, we have rogue governments to cyber-criminals now banking on crypto-currencies. To further worsen this situation, bogus or fake crypto-currencies are also emerging in the financial market. Thousands of investors invariably fall prey to these scams and patronize fake crypto-currencies. One such a crypto-currency in question is One Coin, which operated from Bulgaria. Before we proceed further, we categorically state that OneCoin has left a trail of unanswered questions and thousands of investors poorer. 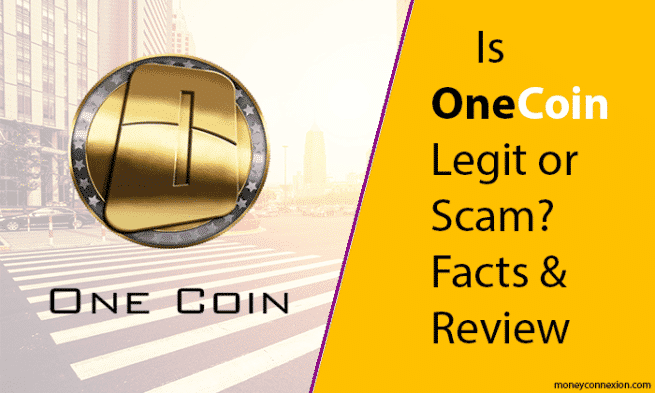 There are numerous claims over what is OneCoin. 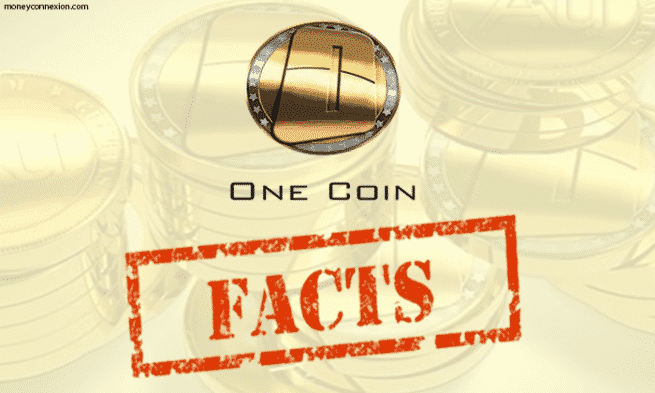 Here we present the facts about One Coin. “OneCoin is a digital currency, based on cryptography and created through a process called ‘mining'. Just like the serial number on a paper bill, each digital coin is unique. Unlike money issued by governments, there is a finite number of One Coins, ensuring they cannot be affected by inflation and are impossible to counterfeit. Interestingly, OneCoin promoters also claim they are a business rather than a crypto-currency. It describes One Coin as vendor for educational material for learning crypto-currency trade. Members are encouraged to buy educational packages from OneCoin, at prices ranging between Euro 100 and Euro 120,000. In exchange, they are provided ‘tokens’ that help them ‘mine’ OneCoin and- surprisingly- other crypto-currencies, over their respective and independent blockchain. OneCoin deploys the Multilevel Marketing (MLM) model to promote its ‘educational products’. This means, you buy an educational package from One Coin and receive tokens to mine the crypto-currency. However, to earn more ‘tokens’, you need to enlist people from your social network into the OneCoin chain. These new members, in turn, will recruit others. As the baseline increases, so does the number of ‘tokens’ you earn. However, financial regulatory authorities and law enforcement agencies in various countries have termed One Coin as a Ponzi or pyramid scheme. This dubious distinction is reserved for companies and offerings that offer no guarantee of payment to investors. Instead, it works on the simple principle of upward movement of funds. As you enroll members, part of the money they pay gets credited to your account. Once this enrollment ceases, so do your earnings. In most cases, you risk losing the investment. OneCoin was launched by a woman named Dr. Ruja Ignatova, who claims to be an Oxford business school graduate. Independent confirmation attempted by some crypto-currency experts into her academic achievements seem to suggest otherwise. Offices of OneCoin are based in Sofia, Bulgaria, states the website. At its peak in 2016, OneCoin traded for as high as Euro 120 per unit. In stark contrast, it has also traded at a low of Euro 1.05 per One Coin. Unlike other crypto-currencies, OneCoin cannot be traded at external exchanges: you need to use the exchange provided by its promoters only. Currently, there are no takers for OneCoin: Its operations are seized by Bulgarian police. OneCoin claims to be the world’s single largest crypto-currency and its blockchain is geared to issue a total of 120 billion units. In comparison, the world’s most popular crypto-currency Bitcoin, will have a humble 21 million units, after attaining its peak. Since 2016, One Coin has been at center of controversy in many countries. In January 2017, OneCoin’s offices in Sofia were raided by a team of police from at least three European countries- Bulgaria, Germany and Italy. Cops interviewed over 50 persons involved in OneCoin and sealed its operations. The January 2018 raid on OneCoin and its eventual closure marked the culmination of a series of investigations around the world. OneCoin ran into serious trouble with law enforcement and financial regulators on its home turf, Bulgaria. On September 30, 2015, Bulgarian government’s Financial Services Commission alerted the public about OneCoin being a possible Ponzi scheme and warned people against investing in crypto-currencies. OneCoin had found an unsuspecting associate in form the world’s very reputed financial institution, Germany’s Deutsche Bank. However, Deutsche Bank distanced itself from OneCoin after reports about its scam emerged. The warning forced OneCoin to shift its bases abroad. It utilized foreign banks to handle transactions for buying and selling its ‘educational products’ for mining the crypto-currency. According to some sources, One Coin briefly found safe haven in Hong Kong Special Autonomous Region of China. This caused a brief surge of interest in the crypto-currency among Chinese investors. China also cracked down on OneCoin and barred its trade in December 2015. In 2016, Financial Conduct Authority of the UK issued an advisory cautioning the public against Ponzi schemes floated by crypto-currencies such as OneCoin. These facts forced Direct Sellers Association of Norway to warn members and public about One Coin being a Ponzi scheme, which led to its eventual ban in t he country from March 2016. A year later, East European countries including Hungary, Croatia and the Czech Republic issued advisories against OneCoin, effectively banning its trade within their borders. In December 2016, Italian anti-trust authority, Autorita Garante della Concorrenza e del Mercato (AGCM) passed an interim injunction against its promoters in the country. The promoter, One Network Services Ltd and its promoters in Italy were banned from promoting OneCoin. On February 27, 2017, AGCM banned all activity of OneCoin in Italy and issued a public advisory warning against investing in the scheme. In The biggest swoop on OneCoin anywhere in the world was conducted in India. On April 23, 2017, Mumbai Police and their counterparts in Navi Mumbai as well as other parts of India conducted coordinated raids at various offices where OneCoin was promoted. A total of 20 policemen cracked down on the Navi Mumbai offices of OneCoin promoters. The raid in India was preceded by a sting operation conducted by the Mumbai police in coordination with Directorate of Revenue Intelligence, Income Tax Department and Ministry of Finance. They attended an One Coin event in Navi Mumbai held to attract more investors in the Ponzi scheme. About 20 persons were arrested and charged for perpetrating the OneCoin scam. Their interrogation led to seizures of large amounts of money concealed in nearly a dozen bank accounts in Mumbai and other parts of the country. In May 2017, Indian authorities uncovered and seized US$3.70 million concealed in nine bank accounts by OneCoin promoters. However, Indian law enforcers could not prevent US$ 11.20 million from being smuggled out of the country using illegal methods. Indian police arrested two more One Coin promoters in May 2016 and successfully seized US$ 3.55 million hidden in more bank accounts. By February 2018 end, investigations continued to arrest more OneCoin scammers and seize money they had duped from unsuspecting investors. On April 28, 2017, Bank of Thailand issued a public advisory stating that OneCoin is scam and illegalized all trading in this crypto-currency. The Thai government also banned promotion of OneCoin in any manner within the country. On May 29, 2017, International Financial Services Commission of the government of Belize issued a public advisory labeling One Coin as scam. Its promoters were banned from all OneCoin related activities in this Central American country. On June 16, 2017, Ruja Ignatova, CEO of OneCoin claimed the crypto-currency is legitimate and is supported by the Government of Vietnam. Three days later, on June 20, 2017, Vietnam’s Ministry of Planning and Investment issued a statement that claims made by OneCoin were faked. The Vietnamese government declared OneCoin was never given any legal status in the country and its documents were forged. Action was initiated against One Coin’s senior executives and its local promoters. The Indian government filed criminal charges on July 10, 2017 against OneCoin CEO, Ruja Ignatova and is seeking her extradition to India to stand trial for perpetrating a financial scam, money laundering and other charges. One Coin promoters have unsuccessfully tried to find safe haven in various countries including United Arab Emirates and Uganda. However, they have been denied any sort of asylum on grounds of engaging in crime. On August 26, 2017, Pakistan’s Securities and Exchange Commission declared OneCoin as illegal and prohibited its trade in the country. The move came after Pakistan’s Federal Investigation Agency proved beyond doubt that OneCoin was scam. SEC also banned trade in several other crypto-currencies simultaneously, including Bitcoin, for being used to promote Ponzi schemes. An unknown number of individuals who had invested in OneCoin have lost their investment for good. Like all crypto-currencies of the world, One Coin too was not regulated by any monetary authority or government. Nor were any collaterals similar to fiat currencies involved. According to various unconfirmed reports, OneCoin founder, Dr. Ruja Ignatova was arrested in Munich, Germany on November 3, 2017. Some other senior officials at One Coin were also arrested in various parts of the world. Reports cite a police complaint filed by a major German bank and charges leveled against Dr. Ruja Ignatova for her arrest. At least two banks from Germany, Deutsche Bank and another smaller bank fell unsuspecting victims to the OneCoin scam, though these reputed establishments ceased dealing with the crypto-currency and its promoter as soon as reports of scams surfaced. Interestingly, Dr. Ruja Ignatova has featured on cover of Forbes and various other very respected finance and business magazines in the world. A biography of Dr. Ruja Ignativa states, she was born and raised Born in Sofia until her age of 10. Her family later migrated to Germany. She completed her studies in Germany and is sauid to hold a Doctorate in Law from the University of Konstanz. Additionally, she is said to hold a Master degree in law from Oxford and Konstanz universities. Further, she holds a Economics degree from University of Hagen. Before One Coin, she worked as Associate Partner at McKinsey & Company. Here, she led one of the largest asset management funds ever launched in Bulgaria, the CSIF and over Euro 250 million. Unconfirmed reports claim, Dr. Ignatova was named “Businesswoman of the Year” in Bulgaria in 2014 and “International Businesswoman of the Year” in 2012. Several arrest warrants for Dr. Ruja Ignatova have been issued by police in some countries that are also seeking her extradition on charges of large scale financial fraud. Some of her associates from OneCoin are also facing the same fate. Many are suspected to be hiding in countries that do not have extradition treaties with Europe. However, it is quite unlikely she would be extradited to stand trial in any country outside Europe. This is because European Union enforces very stringent rules for extraditing citizens and refugees living in member states. The facts we present prove beyond doubt that One Coin was a scam. It is perhaps the largest scam to have struck the crypto-currencies world. There have been innumerable crimes and scams related with crypto-currencies. Yet, none of these led to closure of the crypto-currency. OneCoin has the dubious distinction of being a crypto-currency, solely launched with the purpose of perpetrating a worldwide financial fraud. Remember, nobody can buy or sell OneCoin, after Bulgarian police aided by European Police (Europol) seized its offices and assets. However, there are innumerable scammers who are trying to palm off their OneCoin holdings to unsuspecting people. They approach people and show impressive credentials to lure them into the Ponzi scheme. 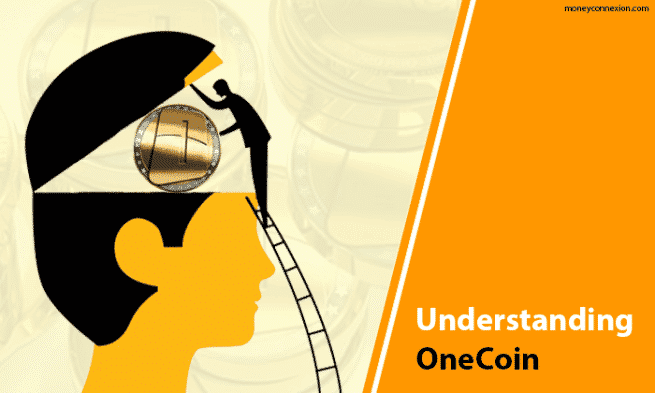 Since OneCoin has collapsed, there are no ways and means that this Ponzi scheme will fetch you any returns. The rise and fall of One Coin has proved one major point: crypto-currency trade is open to scams and crimes of all sorts. There are instances where crypto-currencies were used in cybercrimes. Additionally, they are gaining notoriety for providing a method of diverting money for tax evasion. OneCoin has also made financial authorities and law enforcers across the world to take a closer look at crypto-currencies and find ways and means by which traders can be traced, if required. Though several billionaires have billed crypto-currencies as futuristic, nobody can predict how long this bubble can sustain. In this you report that onecoin is done but one coin is still active and giving a lot of seminar. In south America a lot of business are taking the “one” as part of payments including car dealers, Hotels,etc. Bonjour ,je voudrais savoir si la crypto The billions coin est fiable . 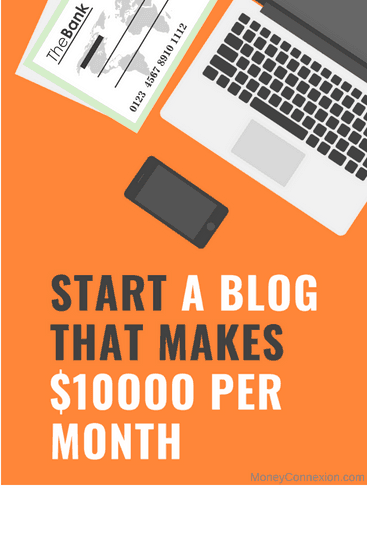 The idea is a great one for those looking out to making money online. I do have some quite good photos in my collection. Of course not clicked by me. Can I get them sold online? Most of them were clicked during the time of my parents who are more. Have I any scope here?